Rural space is one of the biggest problem areas in transformation countries. Already in the Communist era, it was a zone burdened with socio-economic problems, low quality of life and unfavourable economic and demographic development. After the political turn in 1989/90 and during transformation, the situation has almost everywhere become even more critical, except for rural areas with intensive tourism, areas located along development axes between larger urban centres and along borders towards countries in a more prosperous economic situation. Villages suffer from depopulation, lose their potential for regeneration and innovation. Cultivations are abandoned, and fertile lands turn into fallow or are getting covered by secondary vegetation. Very frequently, also cultural assets like traditional farmsteads and places of worship fall into decay. Scientists – and not the least geographers – are increasingly getting aware of this problem and have started not only documenting and describing it, but also hinting at possible solutions. Moreover, individuals from the place, but with some external experience and support as well as associations and agencies with the aim of promoting marginalised areas try to activate the remaining endogenous potentials – partly with considerable success. Eventually, they could serve as models, their procedures being transferred to other parts of the wider region. 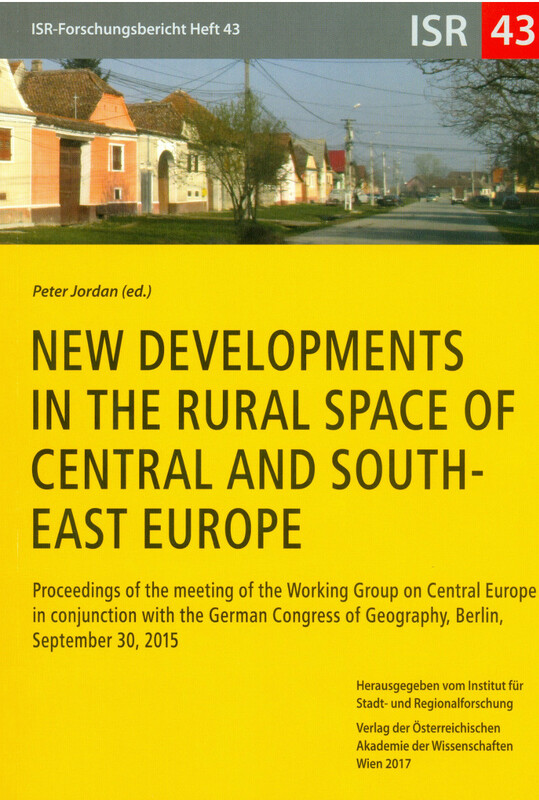 The volume contains a selection of studies on these topics from Central Europe.